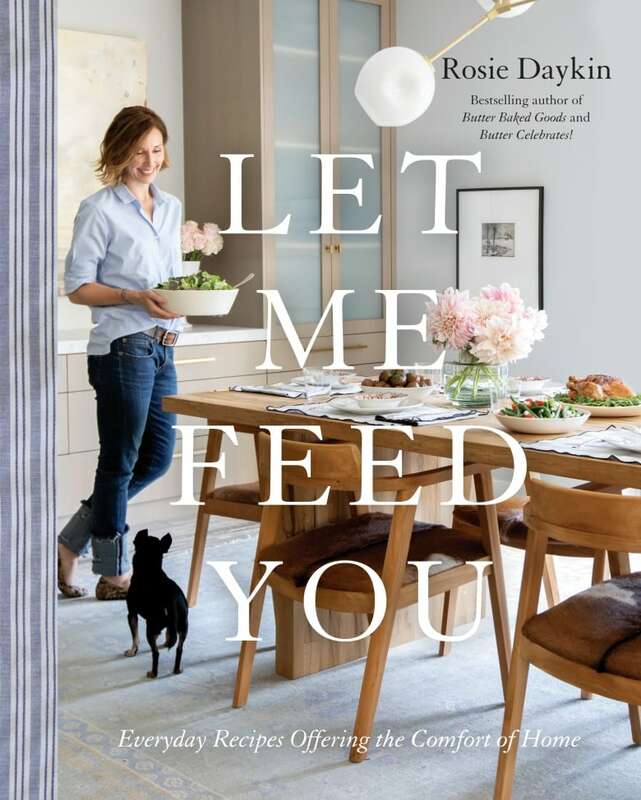 Rosie Daykin, the woman behind Vancouver's "Butter Baked Goods" has a brand new cookbook - it's all about the comforts of home. 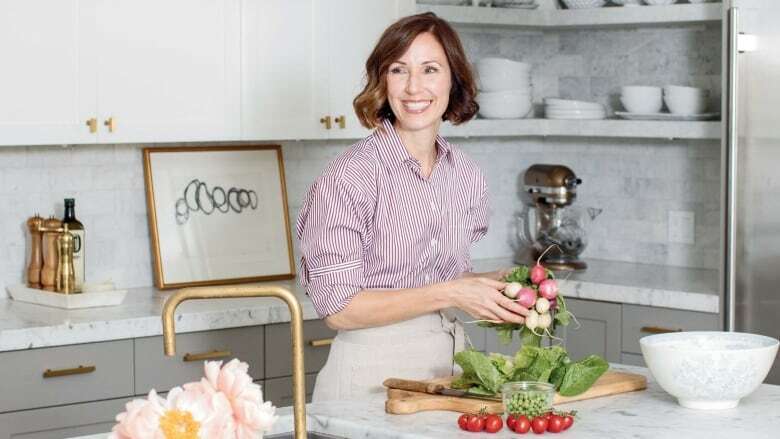 Rosie Daykin, the chef behind the popular Vancouver bakery, Butter Baked Goods, is going home for her third cookbook, more precisely, the everyday meals she prepares for her friends and family. "Outside of going to work everyday and baking for people, I also love to cook and feed my friends and family," Daykin told host Gloria Mackarenko on CBC's On The Coast. "Everything that I write about in Let Me Feed You is everything I've been making for ever and ever and ever. That's what I drew from," she said. Daykin says it was a natural progression from her two earlier cookbooks which focused on the baked goods created at Butter Baked Goods and her second, which focused on celebrations. "I cook the way I bake. I don't like complicated things. Life is very complicated. I'm a working mom. My husband's very busy. Weeknight to me has got to be pretty straightforward [and] easy to achieve," she said. The book features basic, staple ingredients you should stock your fridge and pantry with and the recipes focus on using simple combinations for tasty creations. For example, she says, take the quiche. "It's easy ... we're talking about eggs, milk and sour cream and whatever else you've got in the fridge," she said. "[It's] one of the greatest vehicles on the planet. It's breakfast, lunch or dinner." In a medium skillet over medium-high heat, cook the bacon until it starts to brown. Add the shallots and cook until softened, about five minutes total (if you omit the bacon, just sauté the shallots in 1 tablespoon butter). Transfer to a dinner plate lined with paper towel and pat to remove any excess fat. 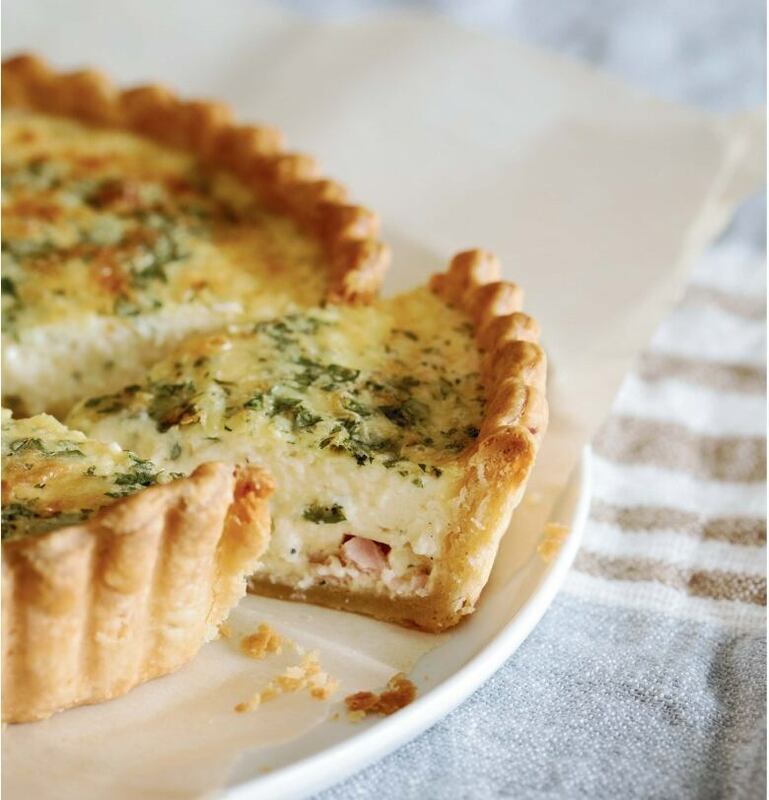 Spread the bacon and shallots evenly across the bottom of the prepared quiche shell. Sprinkle with grated cheese. In a large bowl, whisk together the eggs and flour. Add the milk, sour cream, parsley, salt and pepper, and whisk again to combine. Pour the liquid ingredients into the shell. I like to put the quiche pan atop a cookie sheet lined with parchment, as it makes it easier to get the quiche in and out of the oven and catches any spills. Bake for 35 to 40 minutes, until the edges are set but the centre remains a little wobbly. Remove from the oven and transfer to a wire rack. Allow the quiche to cool for at least one hour prior to removing from the pan and cutting. Store, covered, in the refrigerator for up to three days. Serve cold or reheat in a 200 F oven for about 20 minutes. Place the flour and salt in the bowl of a food processor fitted with the blade attachment. Pulse the machine a couple of times to combine. Add the cubed chilled butter to the bowl and continue to pulse until pea-sized crumbs begin to form. This happens pretty quickly, so keep your eye on it, as you don't want to over-incorporate the butter into the flour. The pea-sized chunks of butter will release steam when the quiche bakes, creating a lovely flaky pastry. Turn the food processor on and pour the 1/3 cup ice water through the feed tube in a steady stream. As soon as the dough starts to come together, stop the machine. Remove the dough from the bowl and shape it into a disk. Wrap the disk in plastic wrap and chill in the refrigerator for at least 2 hours or overnight. Remove the chilled disk of pastry from the refrigerator and place it on a lightly floured work surface. Use a rolling pin to roll from the center of the dough out toward the edges, rotating the dough every few strokes to make sure it doesn't stick to the counter. Lightly dust with more flour as needed to avoid it sticking. Continue to roll until the pastry is about 1/8 inch thick and 11 inches in diameter. Roll a pastry docker over the rolled pastry or use a fork to create random holes across the surface. The steam needs somewhere to escape when a pastry shell is blind-baked to avoid it shrinking in the pan. Carefully fold the pastry in quarters and transfer to a 9-inch quiche pan with a removable bottom. Unfold and press the pastry into place, making sure not to stretch the pastry. Run your rolling pin across the top of the pan to cut a clean edge around the top of the pastry shell. In a small bowl, whisk together the egg and 1 tablespoon of water. Use a pastry brush to coat the inside of the pastry shell with the egg wash.
Bake for 15 minutes, until the pastry is beginning to turn a light golden brown. Remove from the oven and allow to cool before filling. The unrolled pastry can be frozen for up to three months. The baked pastry shell will keep, well wrapped, in the freezer for up to one month.